Last August I made my first ever trip up to Mount St. Helens with my family. 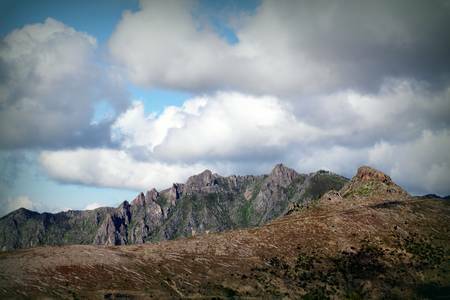 Despite having lived in the region all my life, I had never been before. Along the way, we stopped at Fire Mountain Grill at Hoffstadt Bluffs for lunch. 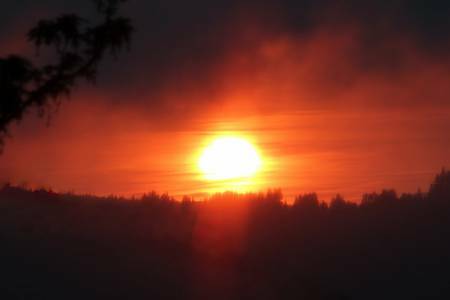 There are some great views of the Toutle River Valley from the back deck, including the desolate areas of ash and destruction which still surround the river. The summer sun breaks through a cloudy pacific northwest sky, shining on the Toutle River as it meanders through the ash and debris left in Mt. 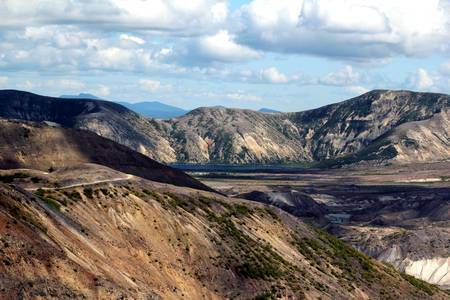 St. Helens’ path of volcanic destruction through the Toutle river valley. Off in the distance the mountains are peaceful below the ominous clouds. 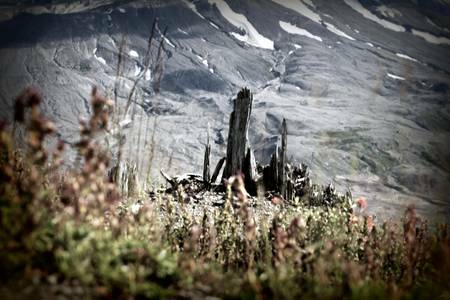 Toutle River Valley, Mount St Helens ash & debris on RedBubble cards starting at US $2.40, photographic prints US$6.60+, matted, mounted, canvas, framed, posters, shirts, stickers, iPhone & iPod cases prices subject to change. I’m not 100% sure which lake this is, but I think based on looking at maps that it is either Coldwater Lake or Clearwater Lake. 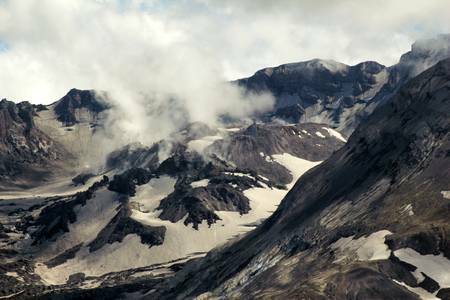 As seen from Johnston’s Ridge, near Mount Saint Helens, a hiking path climbs towards either Coldwater Lake or Clearwater Lake through mountains still recovering from the volcano’s destruction. We only hiked up to the top of the first little viewing area and back, but it looks like it would have been fun to make a day of it and hike the whole path if we’d had more time and more energy that day. The paths were paved and even stroller friendly, albeit a bit steep. Lake and mountain view near Johnston’s Ridge on RedBubble cards starting at US $2.40, photographic prints US$6.60+, matted, mounted, canvas, framed, posters, shirts, stickers, iPhone & iPod cases prices subject to change. I think based on looking at maps this shows Coldwater Lake and Clearwater Lake. 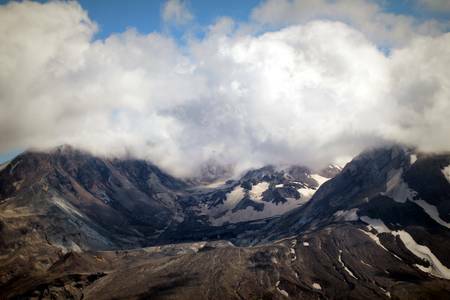 As seen from Johnston’s Ridge, near Mount Saint Helens, Coldwater Lake and Clearwater Lake are seen surrounded by mountains still recovering from the Mt St Helens’ volcanic destruction. Lake and mountain view near Johnston’s Ridge 2 on RedBubble cards starting at US $2.40, photographic prints US$6.60+, matted, mounted, canvas, framed, posters, shirts, stickers, iPhone & iPod cases prices subject to change. A break in the clouds over the snow-covered mount Saint Helens lava dome bathes the crater in summer sunlight..
Mount St Helens lava dome 2 on RedBubble cards starting at US $2.40, photographic prints US$6.60+, matted, mounted, canvas, framed, posters, shirts, stickers, iPhone & iPod cases prices subject to change. 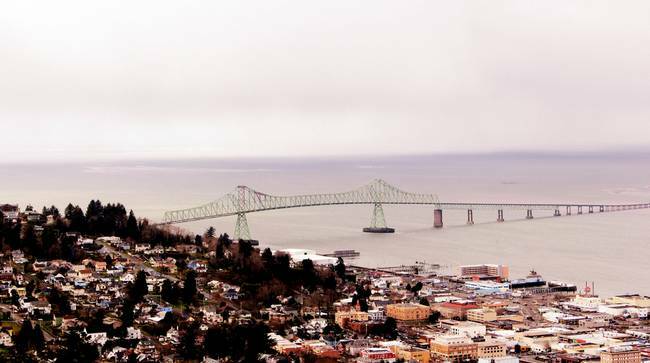 Be a fan of Dawna’s art and photography on facebook! One of the places locally we like to go for family outings is during the summer is the pond at the now defunct Trojan Nuclear facility. There are lots of walking paths, wildlife, picnic tables, restrooms, fishing and a little picturesque bridge. One day last July We managed to get there pretty early in the day, and the light shining through the trees and on the water was just beautiful. 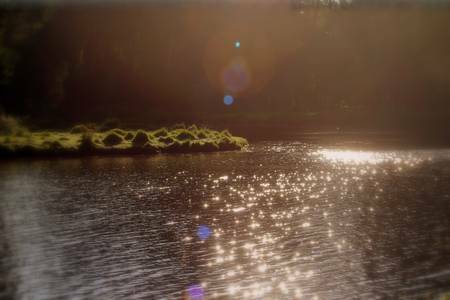 Early Morning sun Shines through the forest canopy at Trojan pond, near Goble, Oregon—creating a lovely ray of lens flare orbs as it sparkles on the rippling pond water and making grasses and bugs alike glow tranquilly. 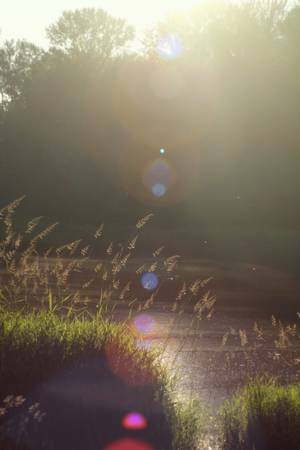 Love the colorful refraction in the lens flare in this photo. 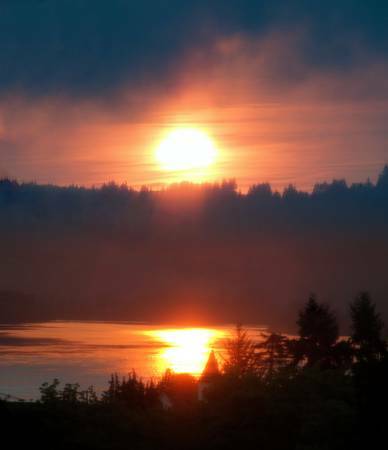 view across Trojan pond, near Goble, Oregon with lens flare on RedBubble cards starting at US $1.92, matted prints US$28.50, photographic, mounted, canvas, framed, poster prices subject to change. Early Morning sun shines on the water at Trojan pond, near Goble, Oregon with a little lens flare refraction—creating a lovely, tranquil morning scene framed with dark forest and pale blue sky in the background. view across Trojan pond, near Goble, Oregon 2 on RedBubble cards starting at US $1.92, matted prints US$28.50, photographic, mounted, canvas, framed, poster prices subject to change. 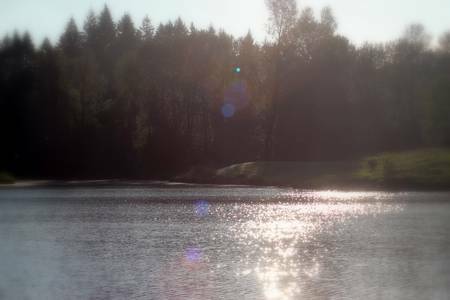 Early Morning sun sparkles on the water at Trojan pond, near Goble, Oregon with a little lens flare refraction—creating a lovely, tranquil morning scene in warm summer tones. view across Trojan pond, near Goble, Oregon 3 on RedBubble cards starting at US $1.92, matted prints US$28.50, photographic, mounted, canvas, framed, poster prices subject to change. view across Trojan pond, near Goble, Oregon 3 on zazzle.com pond Posters and art starting at $9.95, prices subject to change. The early morning sun shines through the top of the tall forest canopy at Trojan pond, near Goble, Oregon. 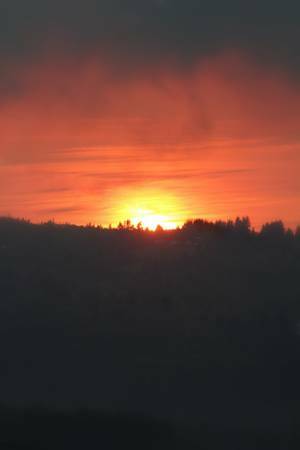 above the majestic height of the pacific northwest trees, glows a pale blue morning sky. I am always trying to catch the feeling of how tall the trees tower above me. It is a bit elusive to get a good photo of something that captures their majestic height. morning sun through treetops at Trojan pond on RedBubble cards starting at US $1.92, matted prints US$28.50, photographic, mounted, canvas, framed, poster prices subject to change. 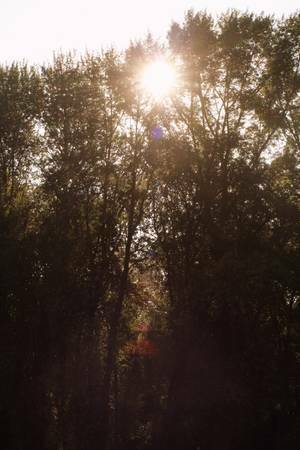 morning sun through treetops at Trojan pond on zazzle.com forest Posters and art starting at $9.95, prices subject to change. 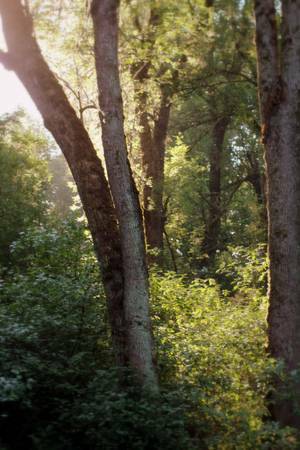 Glowing morning sunlight shines through foliage, trees, and underbrush at Trojan pond, near Goble, Oregon. sunlight through the trees Trojan pond, near Goble on RedBubble cards starting at US $1.92, photographic prints starting at US$6.60, matted, mounted, canvas, framed, poster prices subject to change. sunlight through the trees Trojan pond, near Goble, Oregon on zazzle.com Oregon forest Posters and art starting at $9.95, prices subject to change. 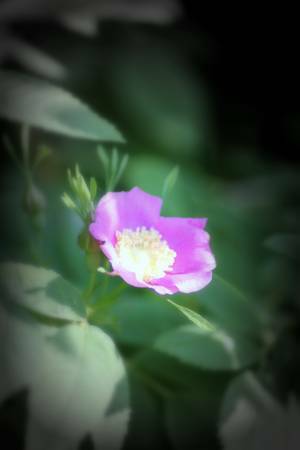 There are also lots of old-fashioned roses growing wild along the paths and along the edges of the forested sections. I’ll be sharing some of those and some other roses soon..
One of the places locally we like to go for family outings is during the summer is the pond at the now defunct Trojan Nuclear facility. There are lots of walking paths, wildlife, picnic tables, restrooms, fishing and a little picturesque bridge. One day last July We managed to get there pretty early in the day, and the light was just beautiful. My kids love to go there to see the ducks and the frogs, and on this particular trip we got an extra special treat and spotted a turtle swimming near the shore..
Two duck at an algae covered section of the pond at Trojan skim the water with their bills for yummy things to eat in this vignette photograph. 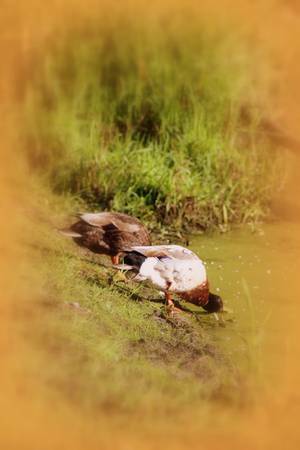 ducks feeding at Trojan pond, near Goble, Oregon on RedBubble cards starting at US $1.92, matted prints US$28.50, photographic, mounted, canvas, framed, poster prices subject to change. An old weather-beaten log, and its reflection, cross a stagnant looking, algae covered stretch of Trojan pond, near Goble, Oregon. 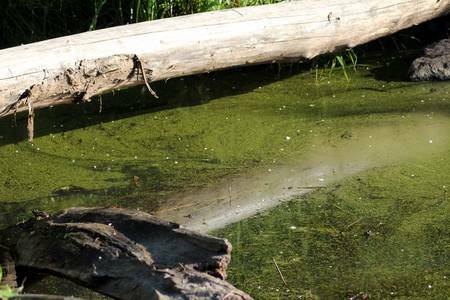 Upon closer inspection there are two frogs hiding camouflaged in plain site—one on another semi-hollow log on the lower left, and another halfway out of the water on the lower right, as well as several mostly submerged and showing as eyeballs and ripples in the water. I originally took this photo just because I liked the log and its reflection in the water, the frogs hiding in it were an extra treat when I opened it up for editing at home. 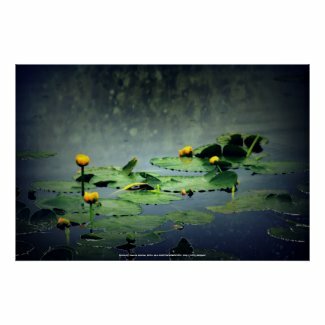 find the frogs, Trojan pond, near Goble, Oregon on RedBubble cards starting at US $1.92, matted prints US$28.50, photographic, mounted, canvas, framed, poster prices subject to change. 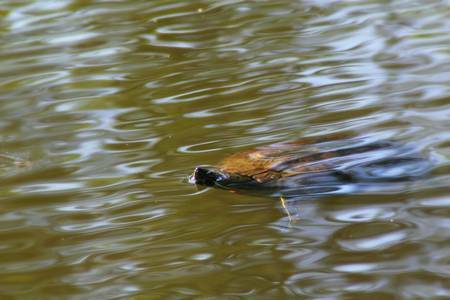 A large turtle swims in Trojan pond, near Goble, Oregon, with its nose poking up above the rippling, sunlit water. Even through the surface of the green hued pond water amazing details in shell and feet are visible. In the six years we have been going to Trojan, this is the first time I have ever seen a turtle there. In talking with one lifelong resident of Goble, they say although they had heard there were turtles there, but had never been lucky enough to see one yet–so this may indeed be a rare occurrence. turtle swimming at Trojan pond, near Goble, Oregon on RedBubble cards starting at US $1.92, matted prints US$28.50, photographic, mounted, canvas, framed, poster prices subject to change. turtle swimming at Trojan pond, near Goble, Oregon on zazzle.com turtle Posters and art starting at $9.95, prices subject to change. 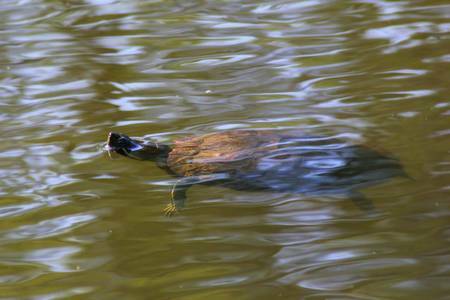 Another view of a large turtle swimming in Trojan pond, near Goble, Oregon, with its nose poking up above the rippling, sunlit water. Through the surface of the green hued pond water its full outline with amazing details in shell and feet are visible. Here it turns in preparation to swim off into the distance. 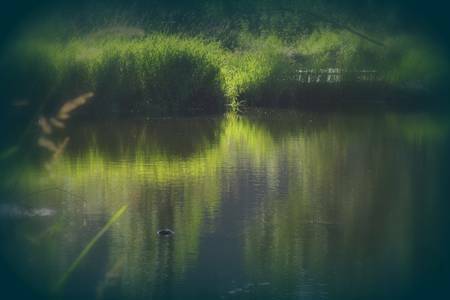 Beautiful Trojan pond scene of dreamy reflective water surrounded by tall marshy grasses with a turtle swimming off into the distance. At full resolution the head and faint outline of a turtle can be seen swimming away in the lower right quadrant of this photo. turtle swimming away at Trojan pond, near Goble, Oregon on RedBubble cards starting at US $1.92, matted prints US$28.50, photographic, mounted, canvas, framed, poster prices subject to change. turtle swimming away at Trojan pond, near Goble, Oregon on zazzle.com turtle Posters and art starting at $9.95, prices subject to change. One of the things I really enjoy about going to Trojan pond are all the old-fashioned roses along the paths and under the edges of the forest. Here are some photos of them Io took during early July of last year. An old-fashioned pink rose at Trojan pond, near Goble, Oregon, basks in the summer sunlight in front of an elegant, dark, and soft background. Archival inks and papers, custom framing available on imagekind Fine Art Prints from $10.44 and up. Prices subject to change. Old fashioned pink rose, near Trojan pond, Oregonon RedBubble; cards starting US$1.92, photographic prints starting US$6.60 matted, mounted, canvas, framed, posters prices subject to change. An old-fashioned pink rose at Trojan pond, near Goble, Oregon, reaches toward the summer sunlight in front of an elegant, dark, and soft background. Old fashioned pink rose, near Trojan pond, Oregon 2on RedBubble; cards starting US$1.92, photographic prints starting US$6.60 matted, mounted, canvas, framed, posters prices subject to change. 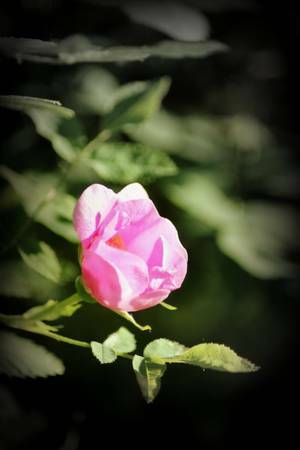 This old-fashioned pink rose, with it’s glowing, golden center, stands out from a dark and shadowy background. The texture overlayed throughout this photo creates a combined effect of sparkling sunlight and an aged elegant vintage feel. The textures and editing really make this photo pop. I love the color and glow, and it was really fun to do. glowing old-fashioned rose eleganceon RedBubble; cards starting US$1.92, photographic prints starting US$6.60 matted, mounted, canvas, framed, posters, shirts, stickers, iPhone & iPod cases prices subject to change. 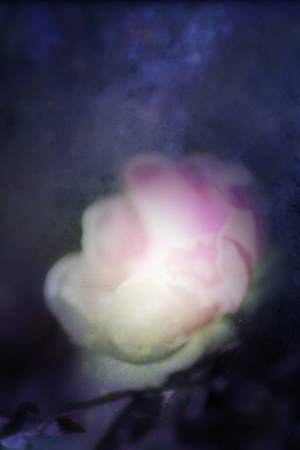 In this work of digital art, a delicate pink old-fashioned rose glows with in inner light surrounded by a textured night-blue background full of an air of magic and mystery. 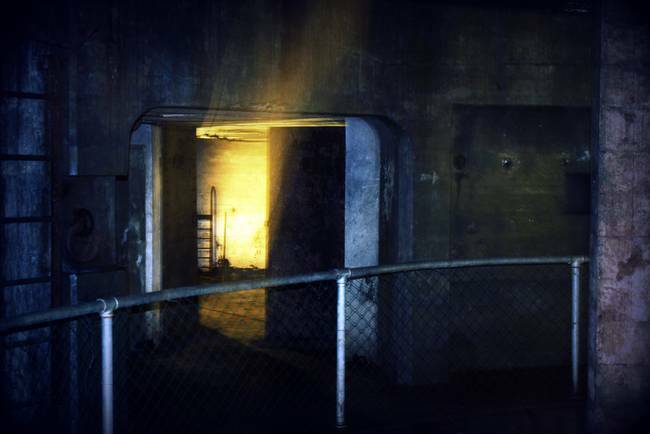 Here is another case where texture and photo editing really make the difference, creating a lovely ambiance. delicate pink old-fashioned roseon RedBubble; cards starting US$1.92, photographic prints starting US$6.60 matted, mounted, canvas, framed, posters shirts, stickers, iPhone & iPod cases prices subject to change. 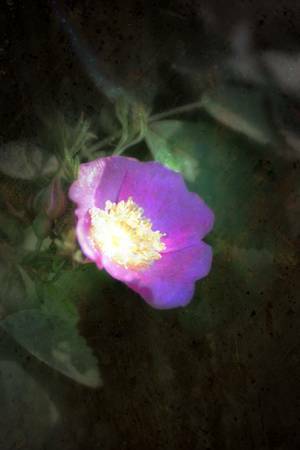 A purple tinted photo of an old-fashioned pink rose, textured and elegant, and glowing with sunlight. I really love what texture can do to a photo, don’t you? 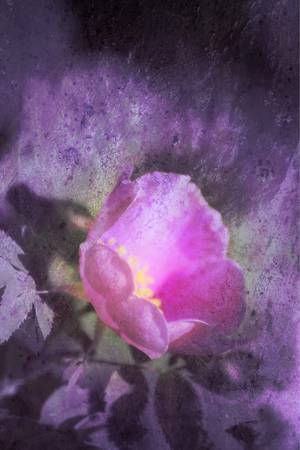 Old fashioned pink rose, purple texture on RedBubble; cards starting US$1.92, photographic prints starting US$6.60 matted, mounted, canvas, framed, posters shirts stickers iPhone & iPod cases prices subject to change. One day when I was baking some bread I got distracted and did not hear the timer while the dough was rising. The dough ended up over rising and glopped all over the floor of the oven. As I was surveying the mess, thinking it really needed a good scrub down anyway, I noticed the interesting patterns and textures on the oven door window. I had just started learning about adding textures to photos and was keen to make some of my own, so before I whipped out the baking soda and scrub brush (a great non-toxic eco-friendly non smelly way to clean the oven btw) I got out my camera and took lots of pictures of various sections of the window. The back-light shining through the transparent surface created some interesting effects, and I thought the drips and splashes would make a great rainy/rainforest type background texture. Half hidden behind the five petaled purple Pacific Northwest salmon berry blossom, the face of Titania as a bride glows with love as she gazes adoringly up at the visage of Oberon. The overlapping purple, green, and golden toned rectangles symbolize both unity and discord in the couple’s future as the begin with varying success to mesh and meld their lives and hearts together from separate planes of existence, as well as symbolizing the various interlinked plots within Shakespeare’s play, “Midsummer Night’s Dream.” abstract shapes and textures in the brushed gold tones of the background further call to mind characters and whet the imagination with scenes and ideas from the play, foreshadowing the events f their future life. Nick Bottom appears to sing or bray like a donkey below one petal, while the faint shapes of a donkey of horse head are formed in the upper right. On the left Helena, in a floral hat, wakes the sleeping Lysander. Another figure along the top appears to write in a book, representing the playwright at work while other shadowy figures emerge among the golden raindrops which splash a sense of magic and wonder across the dreamy scene. As the drops of water land on the blossoms the stretch forth their petals towards each other with love and yearning, reminding us of the flowers used to make the love potion which caused so much turmoil in the lives of the characters, even though they found happiness in the end. 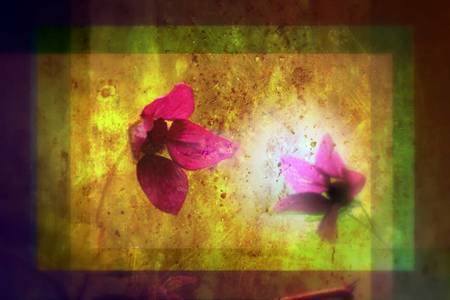 marriage of Titania; Salmon berry floral duet on zazzle.com Shakespearean Posters starting at $9.95, prices subject to change. Magenta colored flower of a salmon berry plant from the beautiful Pacific Northwest. A soft muted forest background sets the an elegant tone in the background of this Oregon native. In this photo only 3 of the typical 5 petals are apparent. 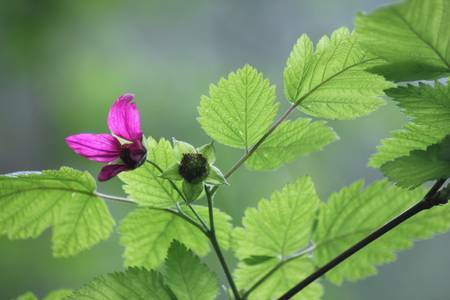 Salmon berry flowers on zazzle.com native plants Posters starting at $9.95, prices subject to change. 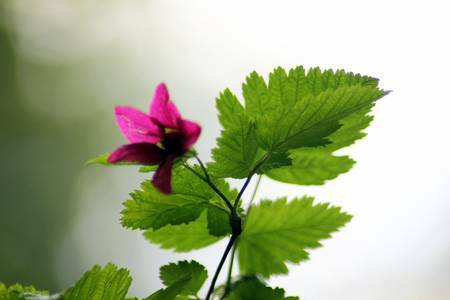 An elegant five petaled magenta colored flower of a Pacific Northwest salmon berry plant with a soft glowing forest background that sets an enchanting mystical tone for this Oregon native wild edible. 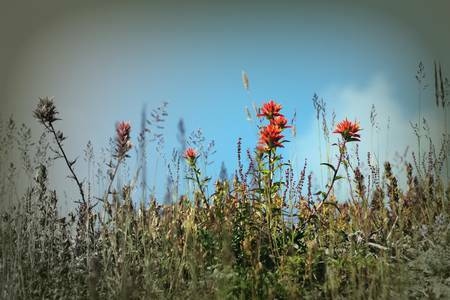 flowers Posters starting at $9.95, prices subject to change. Magenta colored flower of a salmon berry plant from the beautiful Pacific Northwest. A soft muted forest background sets the an elegant tone in the background of this Oregon native. In this photo only 4 of the typical 5 petals are apparent. Salmon berry flowers 3 on zazzle.com wild edibles Posters starting at $9.95, prices subject to change. 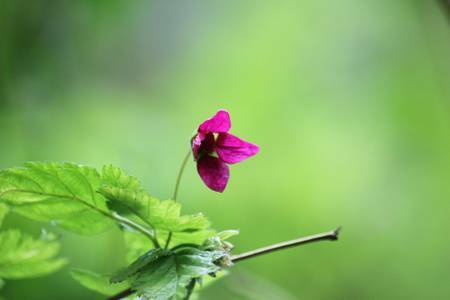 Close up photo of a magenta colored Pacific Northwest salmon berry flower with a soft muted green forest background. In this photo only 4 of the typical 5 petals are visible. Salmon berry flowers 4 on zazzle.com pacific northwest flower Posters starting at $9.95, prices subject to change.